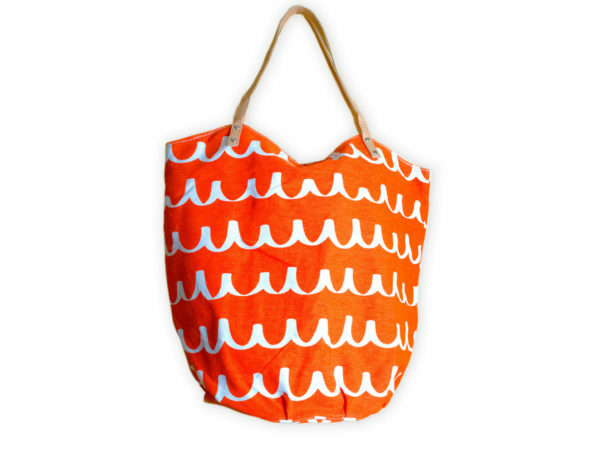 This Orange Scribble Canvas Bucket Tote is a multi-purpose use bag- great for everyday use, grocery shopping or for the beach. 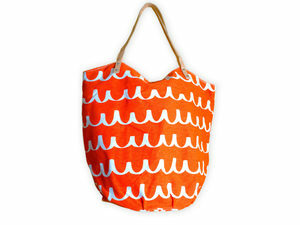 The tote bag is approximately 16" x 20" and 11.50" diameter. It is great to store all your essentials. The tote bag has a small storing compartment for keys, change, and small items. It has a magnetic snaps closure. Comes packaged loose.